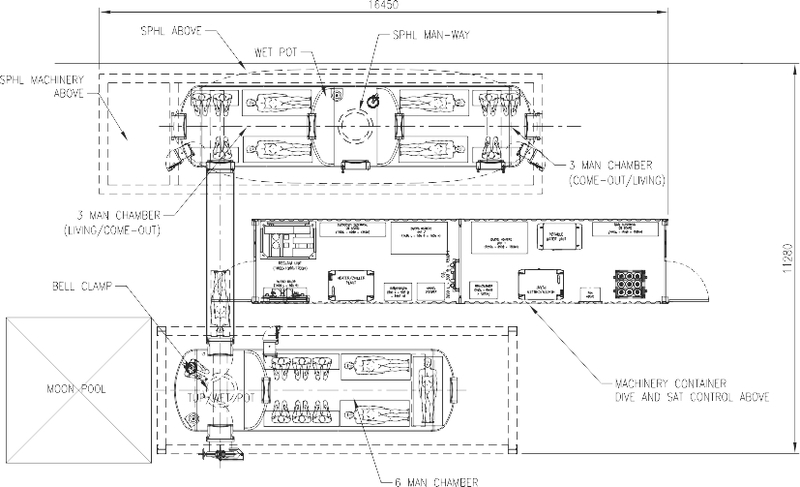 The 300HFS-12 Saturation Diving System is a 12-man system that offers flexibility and uncomplicated capacity for further systems upgrade through a modular design philosophy. The design focuses on a compact approach for ease of shipping, rapid mobilisation and reduced deck-footprint all of which is delivered and assembled as a turnkey solution. The chamber system consists of a separate twin- and a triple-lock chamber. 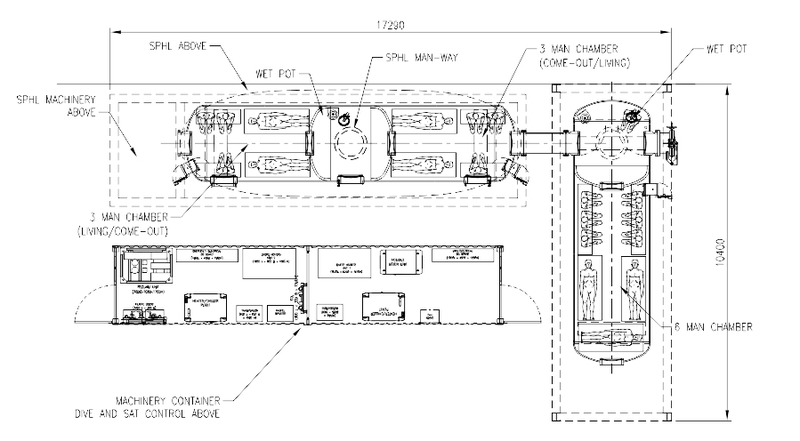 The twin-lock chamber includes a living area fitted out for 6 divers and a wet- pot facility which serves as a TUP to the 3-man diving bell. The triple-lock chamber includes two 3-man living locks (where one serves as a dedicated come out lock) and wet-pot facility which is linked to the SPHL. All of the SAT and dive machinery for the system is fitted into two 20ft ISO containers. The dive and sat control room is fitted within a 40ft ISO container which is stacked above the machinery containers. The 300HFS-12 is easily configured and deployed on board medium to large DSVs dependent on the saturation work scope. The system layout could be configured for either moon-pool or over-the-side bell deployment. The SPHL is deployed directly over the side of the vessel making for simple SPHL integration with the system.